Johnson Crook are a a heart throbbing, boot stomping, harmony making four-piece band based out of Toronto and playing in Edmonton on July 6. 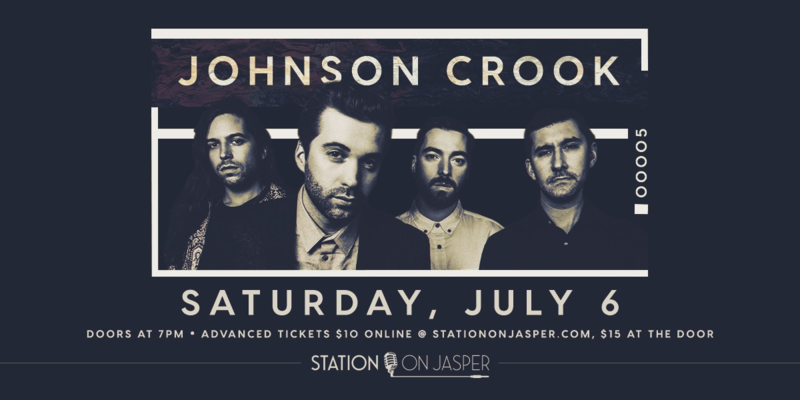 Drawing inspiration from groups like The Eagles, Avett Brothers and The Band, Johnson Crook bring big energy to their stage presence that will keep your spirits soaring all night. Part of our Birthday Weekend Lineup, celebrating Station on Jasper's First Anniversary. Doors at 7. Advance tickets are $10 available for purchase online or at the venue.